A sportsbook in Las Vegas. The Supreme Court on May 14 struck down a 25-year federal ban on sports betting outside of Nevada. The big question on many minds – particular state officials and companies like MGM Resorts and DraftKings looking to cash in – is how much money is at stake. Many of the articles on the decision cite the same eye-popping figure: Americans wager an estimated $150 billion in illegal sports bets every year. As a macro economist, I am used to dealing with big numbers. Still, $150 billion struck me as much too high. To put it in perspective, that’s 14 times more than Americans spend going to the movies, twice as much as they put into grooming and feeding their pets and about the same as they pay for fruits, vegetables and dairy products. The figure comes from the American Gaming Association, which represents the U.S. casino industry and works to reduce restrictions on gambling. It says it based this number on a 1999 government estimate of about $80 billion in illegal sports betting. The group, which describes this as “the most conservative estimate,” then adjusted it to 2017 dollars using GDP growth. I’m not the first to find fault with these figures. A 2014 article in Slate questioned an even higher estimate, $380 billion, drawn from the same report. An examination of the underlying study showed that such estimates were not based on serious research. While the figure has no real basis, it does have real impact. Numerous states need more tax revenue. 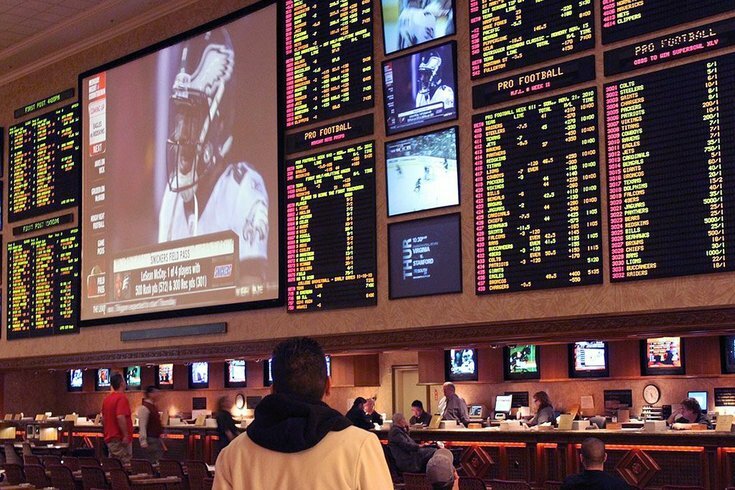 If the potential dollars are big enough, then many states will rush to allow sports betting – as almost 20 are already doing, including New Jersey, which was behind the lawsuit that resulted in the high court ruling. As I know from my work in economics, there are better ways to make estimates than pulling numbers out of thin air. The first thing you do in such cases is look for a real-world example. In this case, data from the U.K., which has allowed sports gambling for decades, with thousands of betting parlors offering odds on everything from Premier League matches to when royal babies are born. The U.K.’s Gambling Commission tracks betting statistics and issues an annual report. The one released in January shows that Brits placed about 10 billion pounds in bets in the latest fiscal year. To get a comparable estimate for the U.S., that figure needs to be adjusted by population and currency. The U.K. has only about 66 million people, compared with 327 million in the U.S. And the pound was worth $1.36 on May 14. After making both adjustments, this suggests that if people in the U.S. are allowed to make bets at the same rate as in the U.K., the size of the industry would be about $67 billion a year. While enormous, that’s a far cry from $150 billion. Will legal sports gambling be big business? Yes, but not as big as its proponents want you to believe.